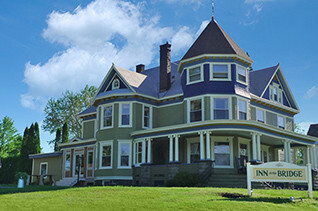 The Inn features 15 guest rooms. Twelve in the 1882 main house and three larger rooms, including one suite in an adjacent Carriage House built in 2003. Lush gardens and an in-ground swimming pool surrounded by the Berkshire Mountains. Luxury in the mountains of western NC!